Pristine Herbal Touch - Natural Health & Beauty - Products that Work! If you're looking for the world's only International award winning, single application wart, mole, skin tag removal product, look no further, you've come to the right place. All prices here are displayed and charged in US Dollars (USD$). For your currency or region click on the "Region" link above. Combo Kit 1 (Remove Warts and Prevent Wart Recurrence) - SAVE NOW! Combo Kit 2 (Remove Warts and Prevent Wart Recurrence) - BEST SAVINGS! 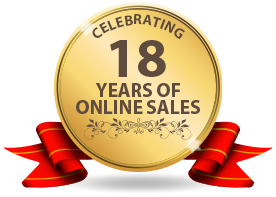 Pristine Herbal Touch is celebrating Wart Mole Vanish's 18th year of online sales! We've stood the test of time and we're still going strong! Thanks go out to all of our customers who have supported us all these years. Orders shipped in discreet packaging. We do our best to ship your order the same day! © 2019 Pristine Herbal Touch. All prices in USD. Powered by Shopify.